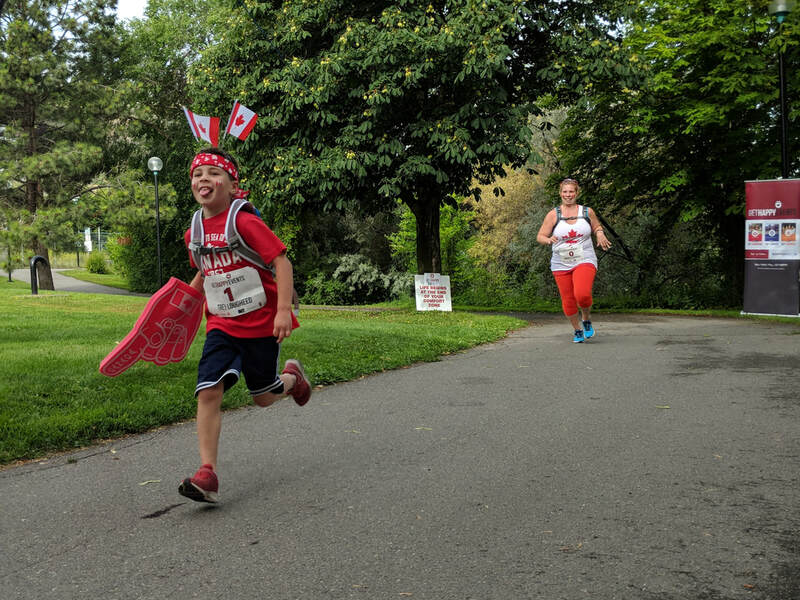 REGISTRATION IS NOW OPEN FOR ALL 2019 EVENTS! When you combine laughter and joy with movement, what do you get? Our high energy themed runs are designed to celebrate our big juicy lives together in a fun healthy way. ​For us, there is nothing more enjoyable then seeing the big smile on your face when you move and celebrate life with us! Celebrate our beautiful country with movement! All ages, paces and abilities are welcome! It's all about the Finish Wine. Monte Creek Ranch Winery, Kamloops B.C. This event is limited to 300 spots and ALWAYS sells out so get your tickets early! MacArthur Island Park, Kamloops B.C. Come out for a spooktacularly good family friendly time! Make sure you're among the first to know when dates and information is released for our annual events, by signing up to receive our newsletter! We only email when pertinent info is available, so you don't have to worry about us clogging your inbox - after all, that wouldn't make you very happy, and that's what we are all about!